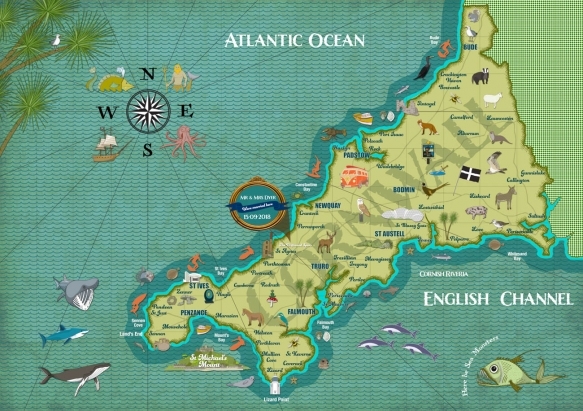 Call us biased, but we think our beautiful counties of Cornwall and Devon are the most stunning in the country, which is why we love these illustrated maps of the regions. We’ve teamed up with talented local artist Sal Meddings to offer one lucky winner a personalised wedding map, complete with an illustration of you and your partner (pictured above). An illustrator and designer living in north Devon, Sal Meddings is inspired by the wildlife and scenery of the north Devon and Cornish coastline. 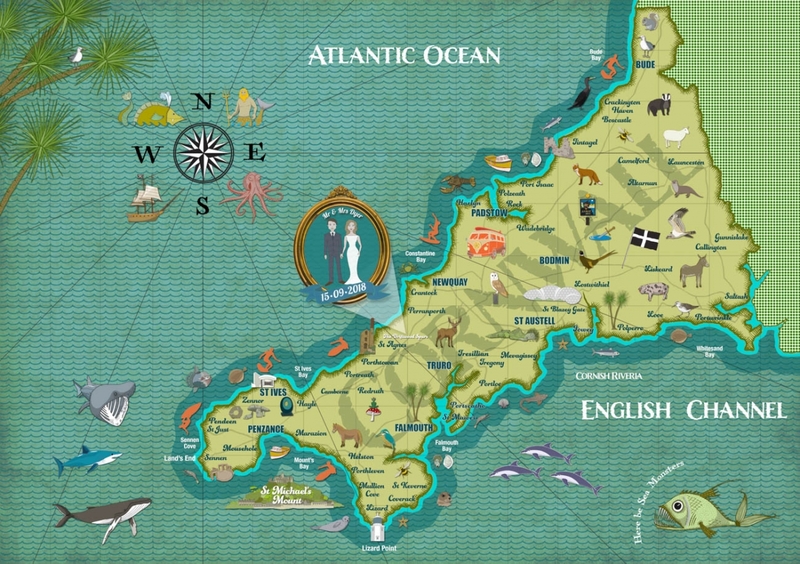 Her personalised and illustrated maps make a beautiful keepsake of the wedding, reminding you of your big day, or a thoughtful gift for your new spouse or loved one who’s getting married. 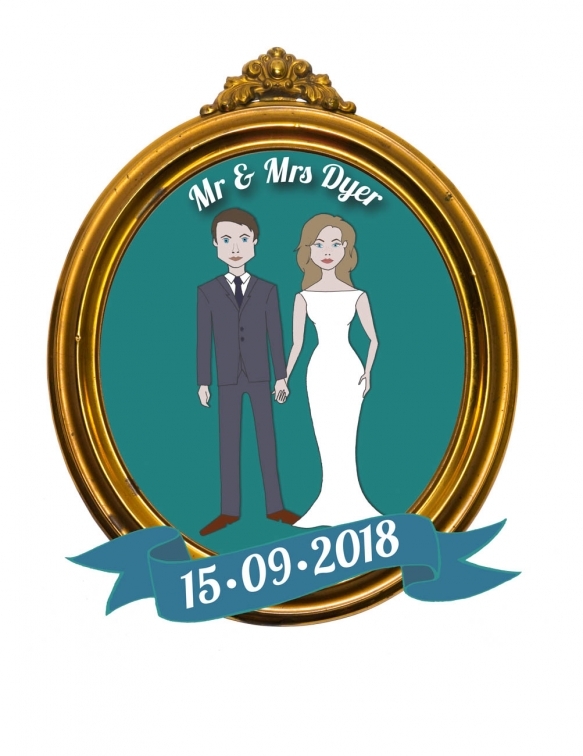 The unframed A3 prints on thin card with a silk finish usually cost £75 each with you starring as the personalised ‘couple’, complete with correct hairstyles, eye colour and outfits, plus date and place. (These maps are also available at £35 for the text only, without the illustration of the couple). Send an email to wed@wedmagazine.co.uk entitled ‘Win a personalised wedding map’ and include your name, address and contact number. The closing date is 30th November 2018. Winner will be chosen at random and informed by email. Allowing 10 working days for delivery once the illustration is finished. 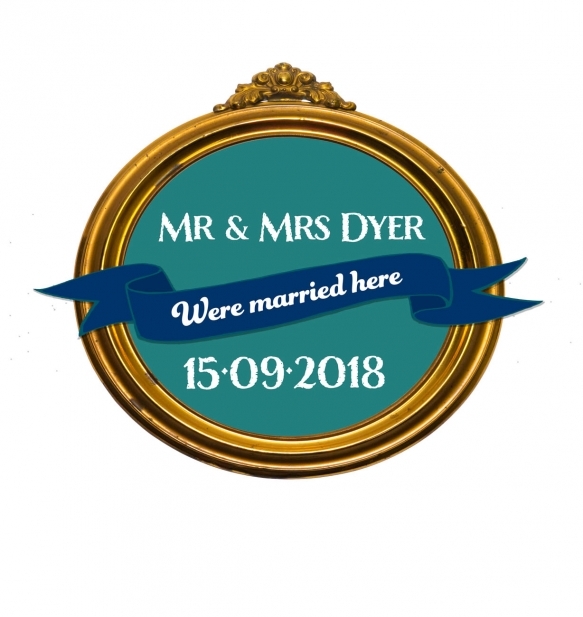 Entrants’ email addresses will be added to the wedmagazine.co.uk newsletter, highlighting news, special offers, competitions, events and inspiration. Entrants can unsubscribe at any time.